Arterial hypertension, known as high blood pressure is a pathological condition (according to the World Health Organisation). High blood pressure is the scourge of modern times. Today, this disease affects more than 70% of the elder population and 40% of people older than 35 years. 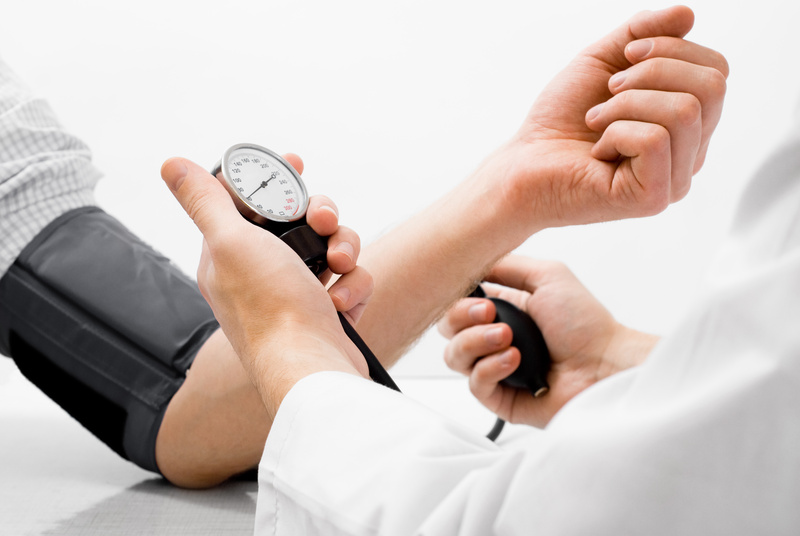 If you have high blood pressure, do not ignore it. High blood pressure is a silent killer because it can lead to heart disease, heart attack, kidney failure and premature death. Fortunately, there are natural methods that will help you successfully control even completely cure the disease. It is not easy to change your habits, but it is the only and best way of prevention and treatment of cardiovascular disease, including high blood pressure. Your diet should include as many fresh fruits and vegetables. Avoid refined oils – Use only cold-pressed oils, because they contain “good fats” beneficial for cardiovascular health. Also, reduce intake of sodium. Eat less pre-cooked food. Potato chips, frozen ready meals, processed meat, they contain a large amount of sodium. Alcohol, tobacco, fatty and salty foods increase the risk of cardiovascular disease – avoid them! You have to solve the excess weight, because it significantly increases the risk of hypertension. Nicotine in cigarettes stimulates the body to produce adrenaline, which makes the heart beat faster, thereby increasing blood pressure. So leave or at least reduce cigarette and this will reduce the risk of hypertension. Caffeine raises blood pressure by tightening blood vessels and increasing the effects of stress. Therefore, it should be avoided whenever possible. Regular physical activity – at least 30 to 60 minutes at least 3 times per week – can lower blood pressure by 4-9 mmHg. If you live mostly physically inactive lifestyle, increasing movement gives results within a few weeks. If you have prehypertension, exercise reduces the risk of developing hypertension. If you already have hypertension (high blood pressure) physical activity will reduce the pressure. Even moderate activity at intervals of 10 minutes, such as walking, climbing stairs, work at home etc. reduce pressure. Stress is one of the underlying causes of many diseases. Long-term exposure to stress can lead to emotional, psychological and physical problems such as high blood pressure and heart disease. Relieve stress with the help of meditation, special breathing techniques, exercises, walks in nature. Spend more time with your loved ones. Also, allow yourself enough sleep. Lack of sleep is directly linked to increased blood pressure. Coenzyme Q10 is a natural substance which is found in our body and helps convert food into energy. Coenzyme Q10 increases the elasticity of veins and prevents oxidation of bad cholesterol, which causes the accumulation of plaque on the walls of veins and their tightness. Omega-3 fatty acids are the main drug for hypertension. It is scientifically proven that omega-3 fatty acids reduce the risk of coronary heart disease, congestive heart failure, myocardial infarction and stroke. The American Society of Cardiology issued a recommendation on the application of omega-3 fatty acids in the prevention of heart disease. The recommended daily intake of omega-3 fatty acids is 1000 to 2000 mg.
Our body need magnesium and other minerals each day. Magnesium participates in over 300 biochemical processes in the body. Magnesium plays an important role in the regulation of blood pressure. It has been shown that regular intake of magnesium prevents hypertension, heart disease and diabetes.